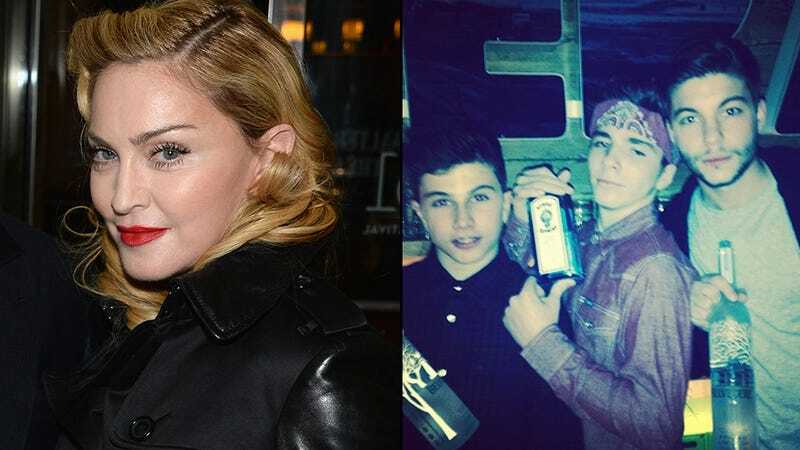 Ultimate Cool Mom Madonna posted an Instagram photo of her 13-year-old son Rocco & friends clutching bottles of vodka with the caption, "The party has just begun! Bring it! 2014." As is their wont, the "fans" commenting on social media have gone absolutely batshit in response. What a very effective thing to do — because, if there's one thing we all know about Madonna, it's that she hates controversy and deeply cares about the opinions of others.